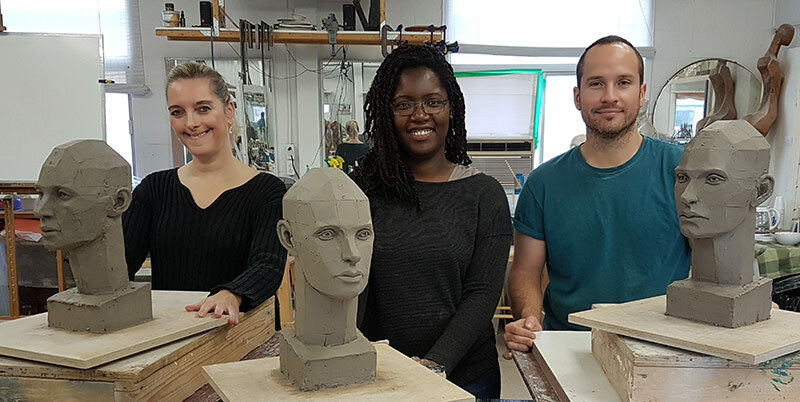 Have you dreamt of learning to sculpt but were afraid to do it – are you an amateur sculptor wanting to acquire a solid foundation – are you an experienced sculptor wanting to broaden your carving practice in wood sculpture, stone sculpture, or modeling in clay sculpture – are you a visual artist interested in exploring sculpture, then this unique course is for you. 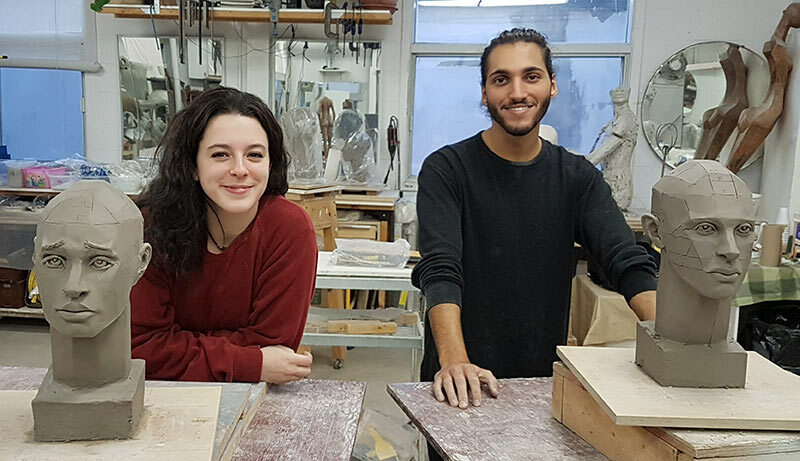 This two and a half day intensive workshop is offered in Montreal in the sculpture studio of Coudari, a contemporary sculptor. The environment is bright and has a warm and friendly atmosphere. You will have a rewarding and challenging experience that will show in your creative process and contribute to your artistic development at various levels. You will gain in confidence and your work will have strength and presence. The sculpture course we did last week was five stars. 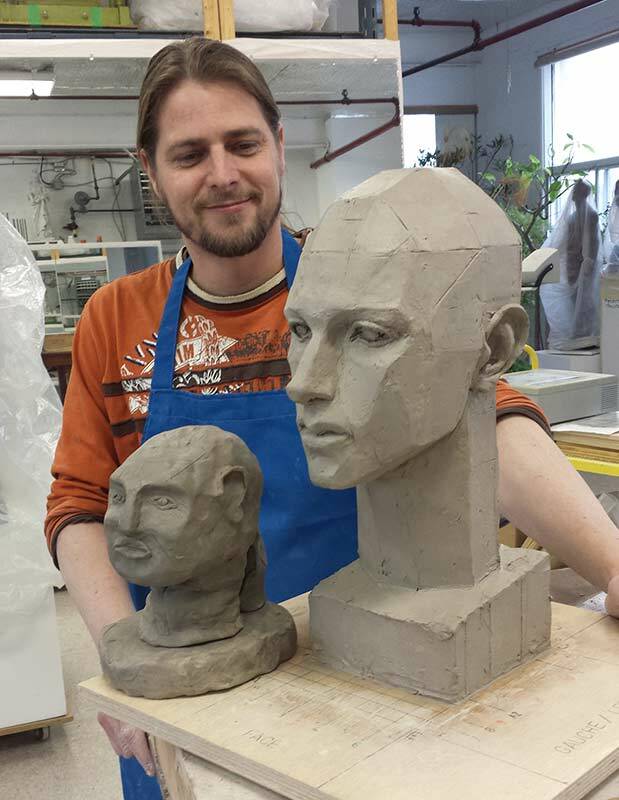 I definitely learned more in three days in your course, Philippe, than in both my sculpting sessions in college! My fiance and I are beginners in sculpting and we discovered the class of M. Coudari by internet. We are 100% satisfied with Philippe’s teaching. His method is simple and efficient yet challenging. M.Coudari is always ready to help the students and answer questions. The atmosphere is relax and laid back due to the teacher’s humor. 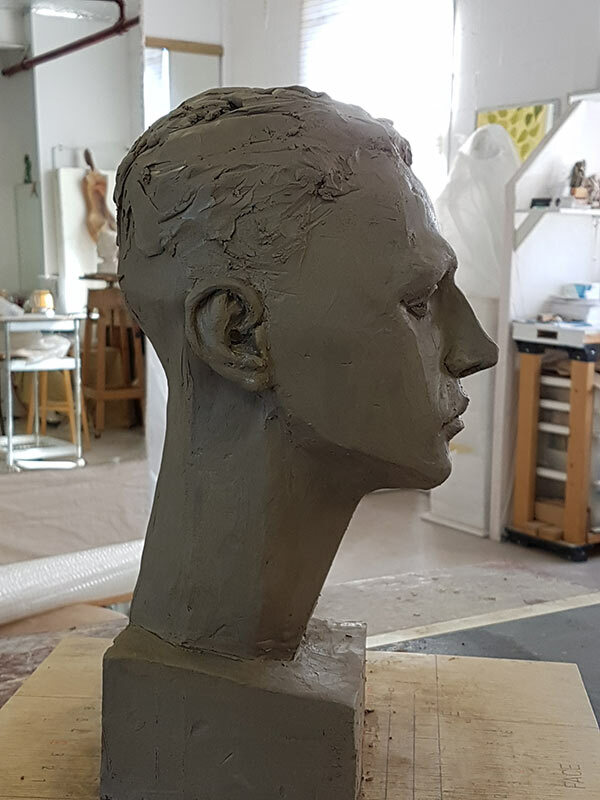 The general principles of the art of sculpting are explained clearly which allows the student to go back home with the necessary tools to begin projects on their own. 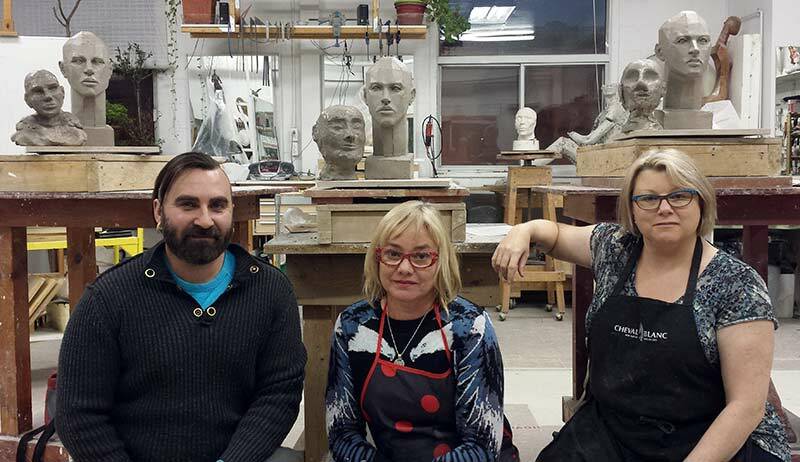 We recommend this course to anyone interested in sculpting. Finally! This course has allowed me to understand the logic of taking material away. Having worked more in my previous classes by modeling, adding material, my attempts to sculpt in wood and stone were not convincing. I have the sincere impression that now I would know how to approach those materials. After taking the class I am able to make a link to previous techniques and concepts. I now understand theoretically and practically, the idea of volume and the structure of the elements of the face through measurements. I learned to place myself physically in the best position to be able to use tools that I had not often used. The artist’s studio is beautiful, bright, spacious and inspiring. Philippe as a professor is patient, careful, precise and a rigorous sculptor. His approach and his course are both well thought out and delivered. Bonus, the musical atmosphere is excellent! I loved the course with Philippe. I had no prior experience in drawing or sculpture. I took great pleasure in following Coudari’s method and was very happy with the result of my head! I always wanted to try my hand at sculpture but I’ve always hesitated to do so because I’ve never done art. I felt well supported. The atmosphere is relaxed, there is no competition, and I did not feel intimidated by the more experienced participants. The teacher is patient and an educator. I did not expect to be able to do what I have done in a weekend. This course gave me confidence in my ability to succeed in something new. Even my way of looking at things has changed. I so enjoyed the experience that I took the course twice! 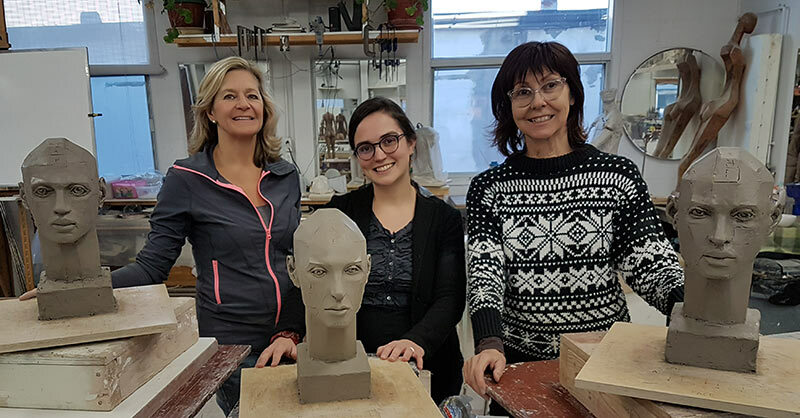 This class is not only good for beginners but is also beneficial for sculptors who want to review and classify their discrete knowledge on form and light in such short period of time. 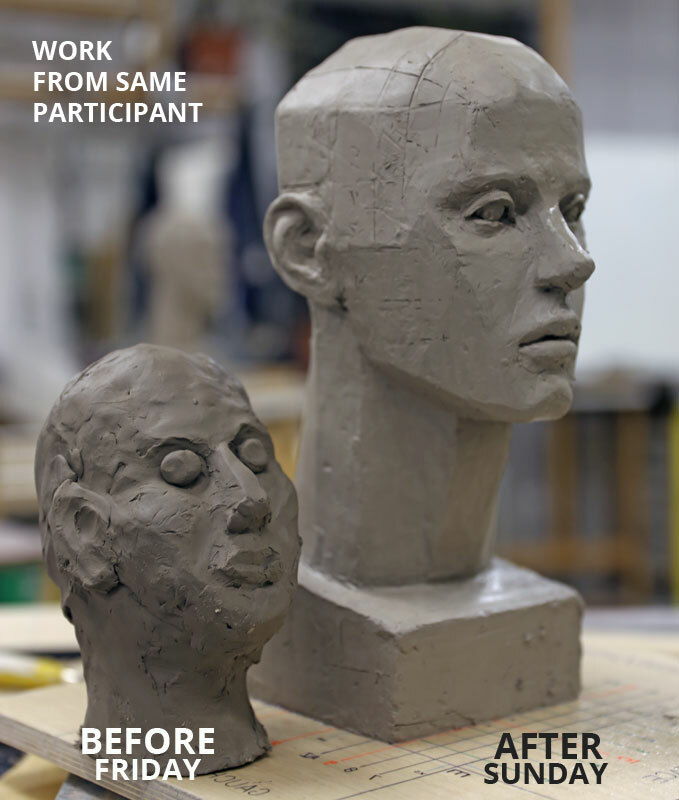 I also learned how to use few sculpting tools and how to plan the portrait base more efficiently and more confidently. Thank you! thank you! After taking Coudari’s sculpture course I not longer see the world in the same way. I had worked with clay in the past but I had never tried to sculpt. What a great discovery! I loved this experience! 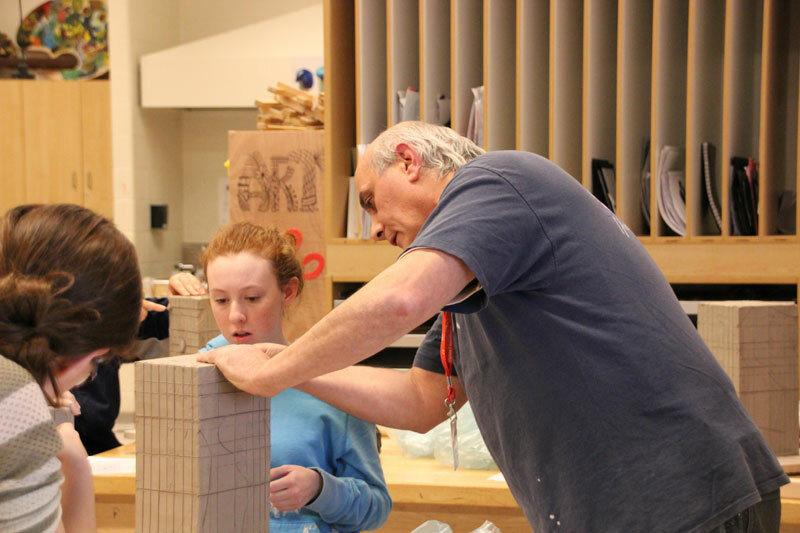 Coudari shares his passion for sculpture and is expert in guiding each student throughout the workshop. 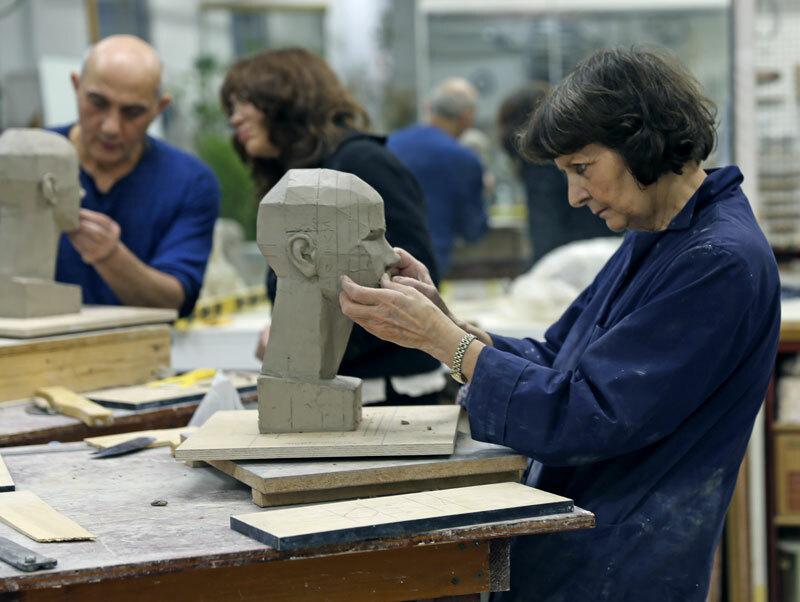 You use ruler and compass, concentrate and listen to anatomical concepts and measurements, execute precise cuts and from a big block of clay, finish with a head…it’s fascinating! I wish I had the opportunity to follow such a course at college. No, I do not see things the same way at all since I took the course with Coudari and this will certainly influence my work in painting. This was a rewarding course, which enabled me to understand and see volumes, to forget old habits and to let myself be guided. These three days have been full of valuable learning. My view of things will never be the same. Philippe thank you for your patience and your humor! It was very pleasant! I will always remember: firm yet relax. The course with Philippe Coudari was a great challenge I gave myself. I have always considered myself completely unable to do anything with my hands, I never imagined being able to do what I did. In addition, my sense of observation and my perception of forms improved. 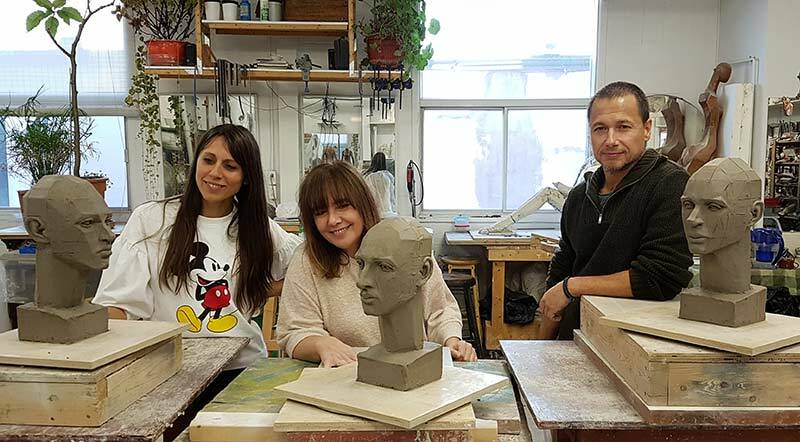 This intensive workshop gave me much more than my sculpted head, sitting on my desk. 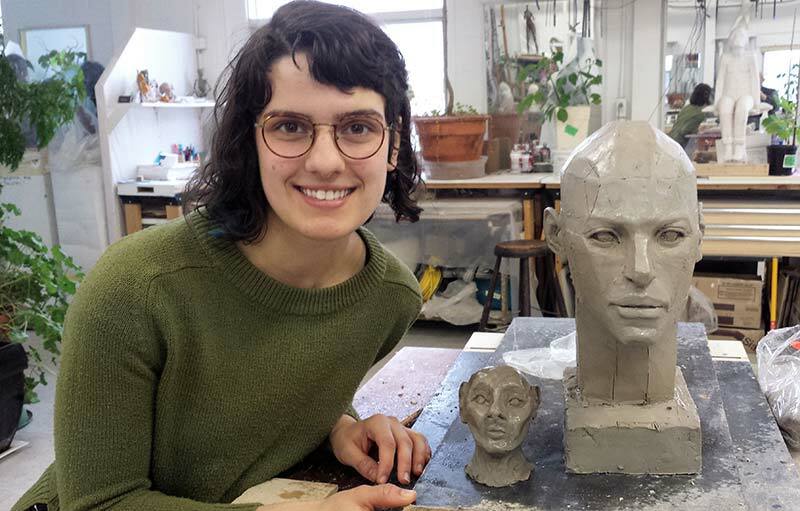 This workshop allowed me to have the experience of sculpting a realistic head in clay. Through the sequential process taught in the course I learned the answers to my questions about volume, balance of form, light and shadow. I enjoyed it reatly! I enjoyed the light environment in which the course is given, surrounded by the works of Philippe Coudari. The course is well structured and well explained. The weekend passed very quickly and I was able to forget about everything else. I am very pleased with my sculpture I admire it everyday, sitting on my mantel. Since this course I am more aware of what sculpture is. My way to look at one in a museum or in a landscape was enriched, I better appreciate the technical and artistic qualities. I recommend this course to anyone willing to devote the necessary time and energy. Finally the price / quality ratio is very worthwhile. I am very happy with my intensive sculpting workshop. I had no expectations in particular, only to enjoy myself and spend quality time with my two friends with whom I have taken the course. 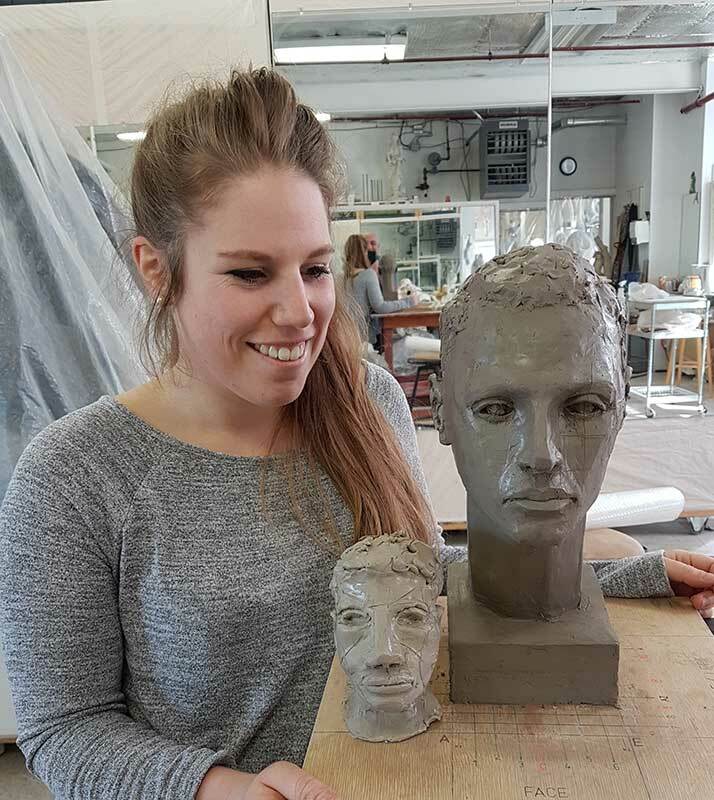 I am doubly satisfied, because in addition to introducing me to sculpting with a talented teacher, patient and interesting, I had fun. An experience to relive, for sure! Phillippe is a talented man, passionate and full of good will. One is lucky to know him. He is committed to every student and goes well beyond the expectations of a teacher. The success of each participant is not an objective for him, but a mission that he intends to fulfill. 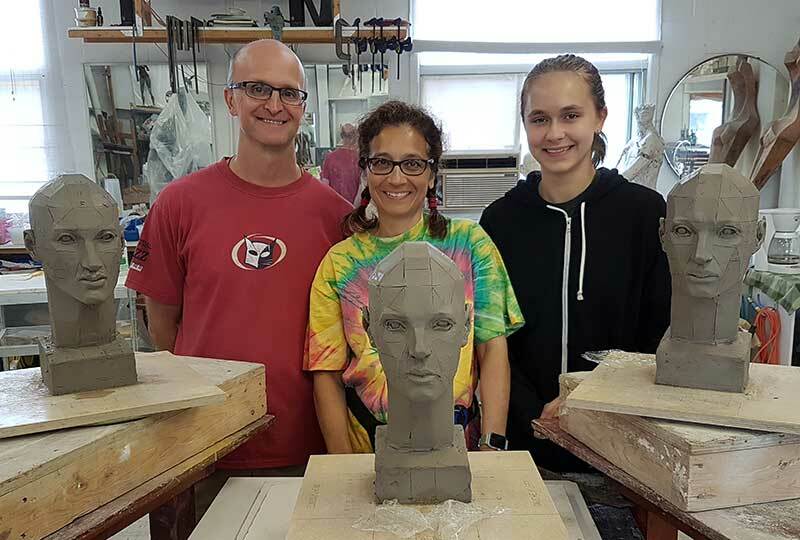 Not only will you gain knowledge of the world around you by understanding sculptural forms, but you will learn first and foremost to know yourself. For me, it was a turning point of great value. This course was for me an intense and rewarding experience. I learned as much about structure, volume and plane as I did about myself and my ability to reach a goal. 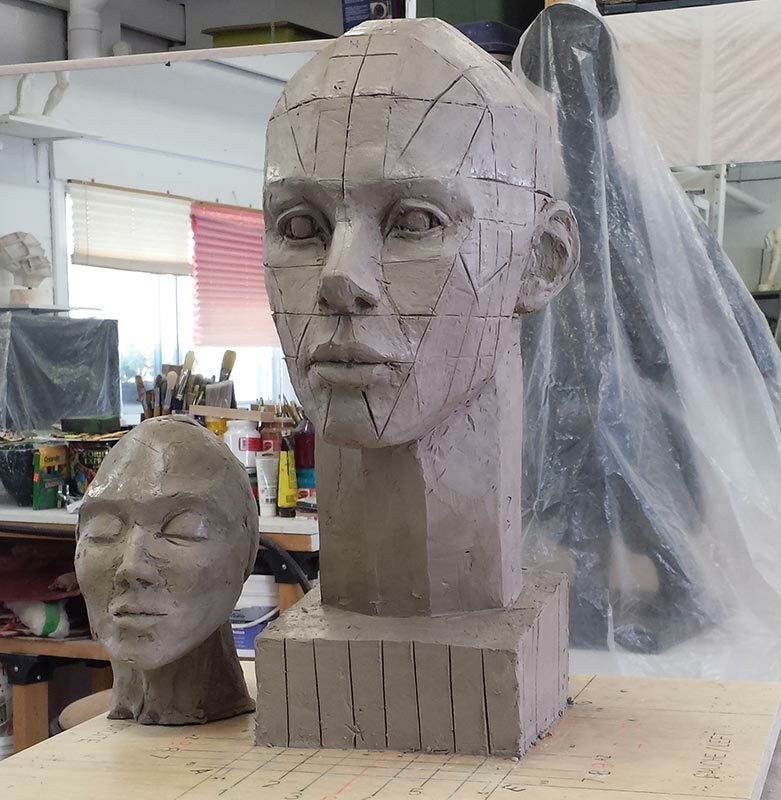 This course made me reconsider my approach as I no longer see sculpture and sculpting in the same way. Thanks Philippe for your generosity and your hospitality. You are very observant and you knew how to put me at ease. Even though I’ve only been sculpting for a very short time, I felt accepted within the group… This is an important detail given that we spent three consecutive days together. Finally, I am well pleased to have come across Philippe, a sculptor who does an impressive job of both teaching and sculpting. It was a very nice experience both serious and beneficial. The subject of sculpture is approached from end to end, from the cut, the plans, the very useful notions of anatomy and by a great explanation of the use of tools. The place is very well equipped, surrounded by plenty of plants; it is a source of inspiration and calm for working on your project. I recommended this course to people of all levels wishing to deepen and structure their creativity! It’s been several years since I worked in clay by modeling. The course allowed me through Philippe Coudari’s teaching, to change my perspective and work by extracting as if we were carving stone or wood. Now I have a better understanding of shape and volume. 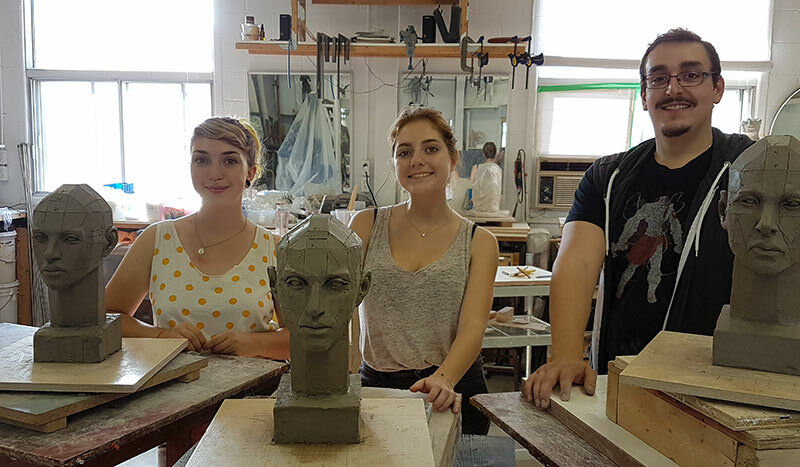 The course, which is given in a warm and friendly manner, was for me a unique experience in the wonderful world of sculpture. I highly recommend it! This note is a warm thank you for the sculpting course I took with you and in which I had the privilege of participating. 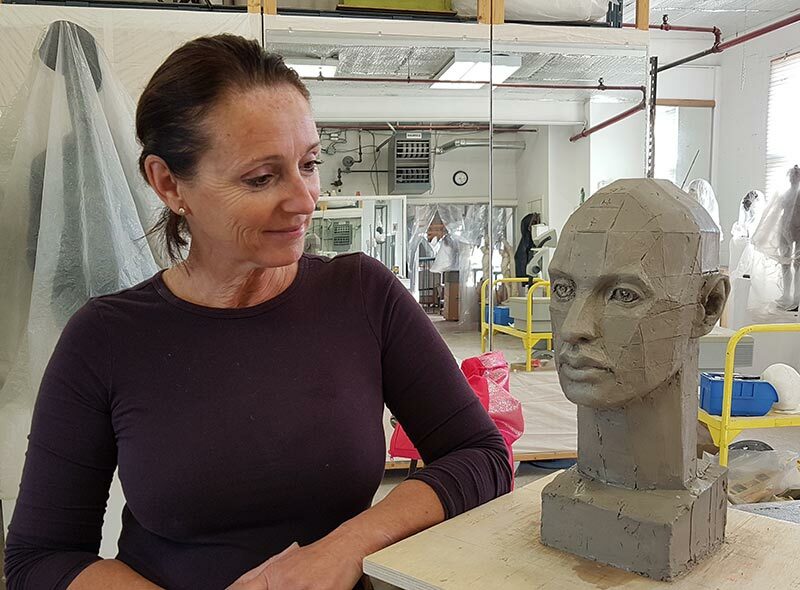 The course allowed me to better establish my understanding of the structure of a head and to now be able to sculpt using the plane approach. I greatly appreciated your structured teaching method, which I found quite ingenious. I hope to one day see it in book format! The passage of time has allowed me to better appreciate and understand at least some of the ideas you wanted to convey to us. 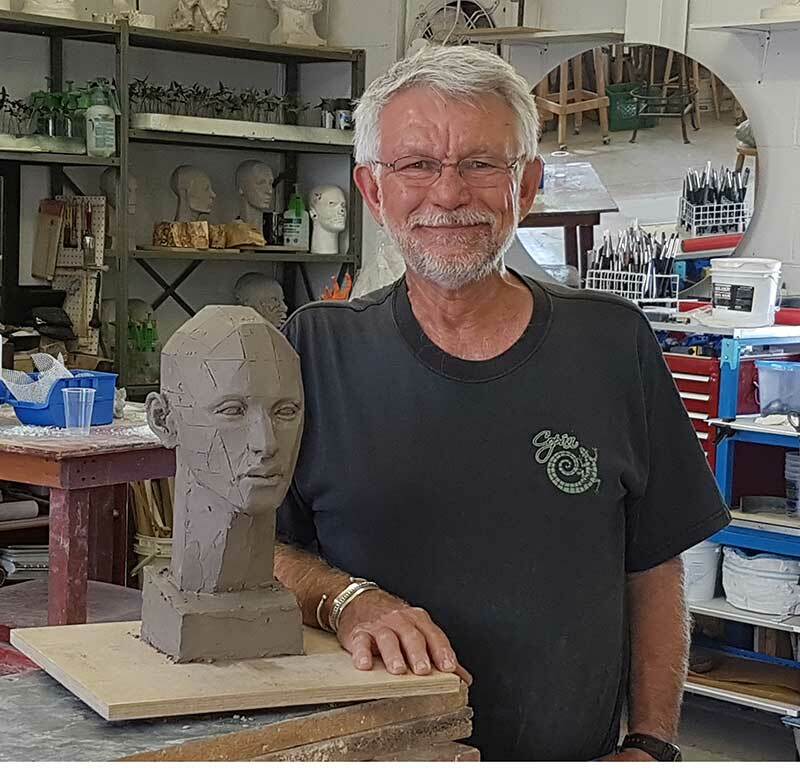 I thank you for your kindness and patience which made the course more enjoyable and it is certain that I will recommend this course with great enthusiasm to anyone interested in sculpture. 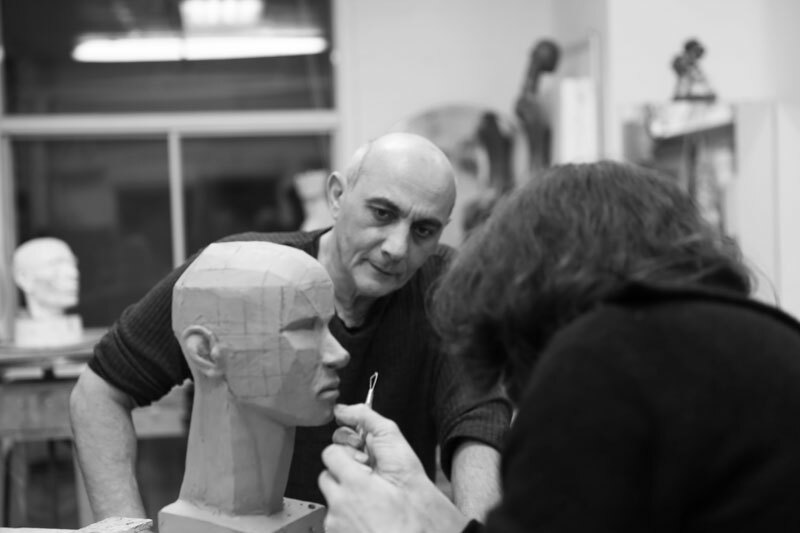 I participated in Philippe Coudari’s workshop focused on sculpting a head. His method is very technical and for this reason students learn to build a solid foundation. This approach respects proportions and will carry over into the student’s future projects. The studio is very large, clean and bright, this is important to me. Philippe is also a very sympathetic, patient person who transmits his knowledge well. So I highly recommend this great class! I am looking forward to doing another workshop in the near future! I arrived on tiptoe. I left head high. Coudari: what a sculptor, what a teacher, talented and generous. Thank you Philippe! It was a pleasure to meet you and learn your techniques for sculpting. As a potter of functional ware, I have a need to touch and play with clay. Sculpting is something fun to try and I found that looking at this medium using your techniques of carving and then modelling were instructional and informative. I also enjoyed your sense of humour and fun!! Coffee and lunch in your beautiful and tropical garden were wonderful! Many thanks for the great weekend course!